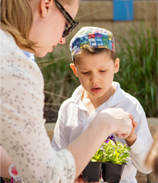 There may be as many reasons for choosing Jewish day school as there are families in our school school! Some are looking for small class sizes, a nurturing environment and positive peer groups, while others seek an early second-language program or an emphasis on experiential education. Still, some want an academic experience steeped in the Jewish tradition of critical thinking and ethical behavior. Many are drawn by another family’s positive experience. At Friedel, there is truly something for everyone. Finding the “right fit” for your kindergartener takes time and thought. Choosing the right school for your child can be an overwhelming process. Just as the nurturing environment of preschool has grown comfortable, it is time to begin thinking about moving on. Making the choice requires investigating what truly matters to you and your family. It takes visiting prospective schools and teachers, speaking to current school parents and imagining your child and your family in a new environment. For older students: It is never too late. 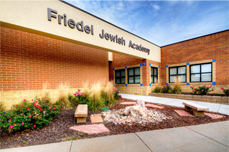 Friedel Jewish Academy has increasingly found that our unique caring community and educational opportunities resonate with families who might not have considered day school when their child first began school. With individualized attention to ensure that students acclimate to a new school environment and academic program, it truly is never too late to transfer your child to Friedel. Want to read more? 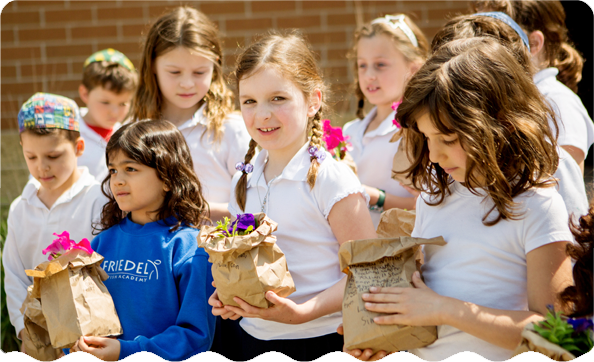 Here are four reasons: Why choose Jewish day school?